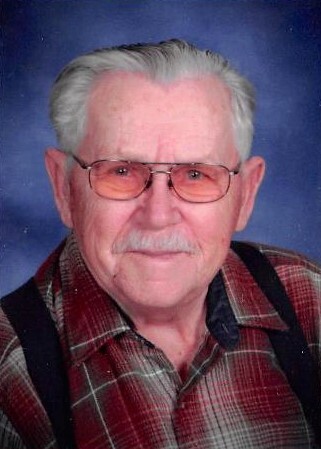 Jan Panek, age 92, formerly of Ogallala, died Saturday, January 12, 2019, at his daughters home in Shelton, Washington. Jan was born on June 16, 1926, in Lipie, Poland, to Piotr and Dorota (Koszszan) Panek. Jan's mother died when he was almost 2 years old, and was raised by his father and grandmother. In 1939 German forces invaded Poland. Shortly after Jan completed the 7th grade, Jan, his older sister, Cecylia, and their father were forced to go to Germany and work for the farmers. They were also required to learn the German language. Later on, Jan went to work in the forestry cutting lumber for the paper mill, furniture, and firewood. At this time, rations on food and other items were imposed on everyone. Jan served in the Wachman Guard for more than a year. On September 3, 1947, Jan was united in marriage to Maria Koll, in Bendorf Germany, living there for a year. After the War ended, Jan and Maria accepted an opportunity to move to Brazil. Jan was employed in the assembly department in a toy factory. After residing there for 5 years, in 1954, they relocated to Ogallala. Jan became a United States Citizen in 1960. Jan was employed at Goodall Electric, where he did assembly line labor, retiring after 35 years. His hobbies included fishing, gardening, and woodwork. He enjoyed visits with his children in San Antonio, TX, and Washington. Jan was a member of St. Luke's Catholic Church. He was fluent in the Polish, Portuguese, Russian, French and German language, as well as English, even taking a trip back to Poland and Germany in 1991. He is preceded in death by his wife, his parents, and 1 sister. Jan is survived by; 1 son, Pete (Joann) Panek, of San Antonio, TX; 1 daughter, Cathy (Ronald) Erickson; 1 grandson, Jamey (Heather) McCabe; 1 granddaughter, Dawn (Jonathan) Moran all of Shelton, WA; and several great-grandchildren, nieces, and nephews. A rosary will be recited Wednesday, January 23, 2019 at 10:00 a.m. in St. Luke's Catholic Church in Ogallala. The Mass of Christian Burial will follow at 10:30 a.m., Wednesday, January 23, 2019 in St. Luke's Catholic Church, officiated by Father Bryan Ernest. Burial will be in Ogallala Cemetery. Condolences can be left by signing the register book at the Draucker Funeral Home.